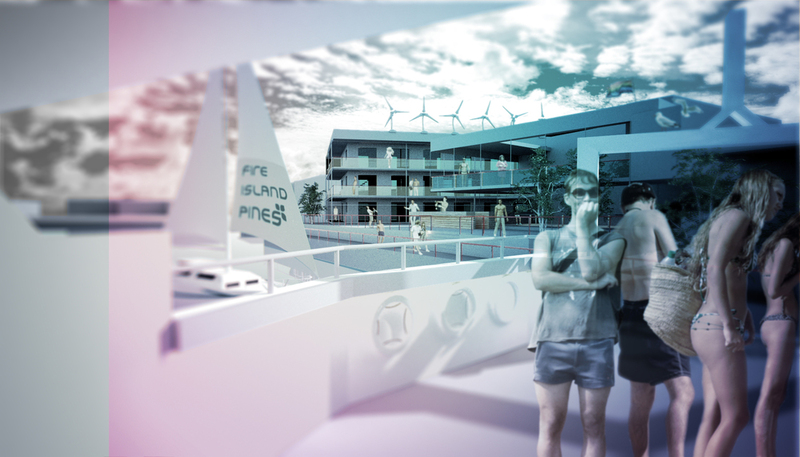 HAt’s design scheme maximized the view from the ferry, opening up a closed site and allowing visitors to glimpse the Pines’ rich array of commercial, dining and sports activities before having even set foot on the island. The scheme proposed a diagonal promenade through what is now a narrow commercial block in order to create a new public street. This thoroughfare would be dotted with patches of grasses, contributing to the absorptive potential of a commercial lot whose 99% lot coverage currently accommodates almost no stormwater absorption. 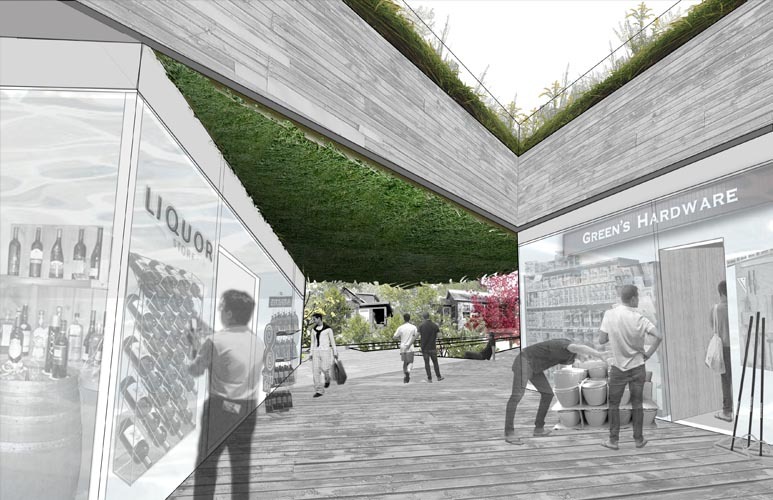 The green promenade included an upper loop leading to an elevated urban meadow, a green roof replete with dune grasses and a shallow elevated swimming pool. In addition to offering several means to absorb stormwater, the green promenade echoed, albeit at the scale of a commercial lot, Fire Island’s typical landscape from dune to forest.